The Vampire Diaries TVD characters 5in5 شبیہ contest! 3rd Round! -Hello all , I realised that this club doesn't have so much active contests so I decided to make you a little one. -As you can see , this is 5in5 icon contest. -All Icons MUST be squared! -Winner of each theme : 5 props. -I will post your icons on fan picks so other fans will chose the winning icon! -Please don't vote for yourself or you will be disqualified. -You have to choose only one character. -2 persons can't choose the same character. -Icons must be made by you. 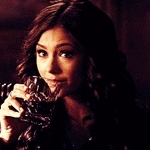 -Icons must be from episodes, not photoshoots. 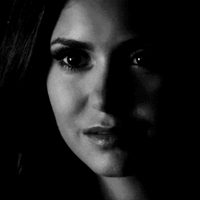 Can I have Katherine for round 2,please ?